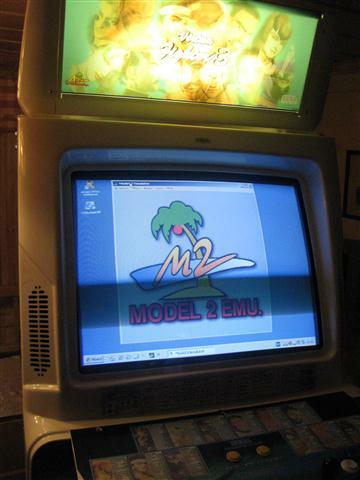 I have been trying to connect my computer to a Nanao MS9-29A arcade monitor running at 15kHz. I am using Soft15KHZ to make my Nvidia 7300GS output arcade resolutions and using the program Quickres to change between resolutions. I have been using the latest Nvidia driver 260.99. All non-interlaced resolutions was working correctly with the largest working resolution at 640×288, however when trying to change to an interlaced resolution like 640×480 it didn’t work. 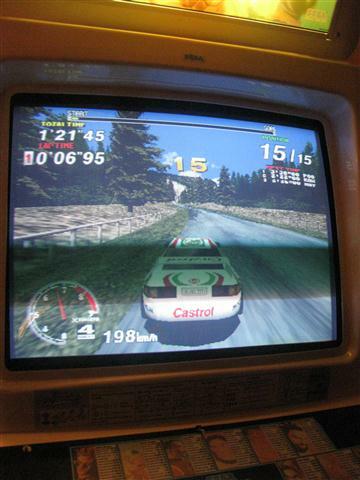 When switching to 640×480 all I got was a 640×480 VGA-resolution which my arcade monitor can’t handle. Very strange! After trying everything I switched to an older driver for the graphics card. I installed the Nvidia Forceware 93.71 driver from 2006. After setting everything up I tried switching resolution to 640x480i and voila, I got a beautiful 640×480 interlaced resolution on my arcade monitor. Then I tried switching to 720x480i and that also worked. Problem solved!